Since meeting my husband 16 years ago, I’ve (we’ve) visited Boulder, Colorado several times because he has family there. Boulder is a great city in many ways: walkability, scenery, dining (fine and other), shopping, and overall vibe. I believe that every time we’ve visited, we’ve tried a different hotel, based on what the planned activity was for the trip, or cost, or both. Below, then, is my completely subjective ranking of Boulder hotels, based on my recollections. Since I didn’t write these reviews at the time of stay, some memories are hazy. This place is lush, is in the center of town, and is definitely a fantastic place to stay if you want to feel pampered and special. There is a beautiful bar in the lobby, and from what I recall, the food is great, but there is also a lot of great dining within a short walk. There is garage parking underneath. The staff know how to treat guests. This is the only place we’ve stayed in Boulder that is on par with a Vegas hotel. The only cons: not meant for long term stay (no “comforts of home” like fridges), and, well, it’s pricey. It’s a Marriott, which means it’s clean, convenient, and well-run. It’s situated in the “business district,” so it’s definitely less touristy, and better for folks like us, in town visiting friends or family. It shares a parking lot with McGuckin’s, which may well be the best hardware store on the planet. Even though it’s not tourist central, like most of Boulder, it’s still convenient, and there are good restaurants and grocery stores within walking distance. A sentimental favorite, because this was the place my then my brand new boyfriend put us up on my first visit to Boulder, three months after we met. This is back when he was trying to impress me (that phase is long over ;-)). The Boulderado is an historical building, and has a long and storied past. Like the Julien, it’s in the tourist district, and is convenient to the Pearl St. Mall, and other attractions. In fact, last year, we took a bus tour of Boulder that left from in front of the Boulderado. The hotel is Victorian, which means ornate, and well, old. The only reason I have’t rated this higher is that I grew up in an old house, and while I can appreciate their charm, I also really love modern convenience. Chautauqua was an adult educational movement in the late 1800s and early 1900s. Go read about it at the site. Back? OK, now this is an amazing place to stay if you want to really get away and experience a bit of the sheer beauty of Boulder. We stayed as part of a family “reunion” of sorts. All together, we rented 3 cabins, and there were 8 adults and 3 children. Each cabin had a full kitchen, and was a lovely place to relax, read, and enjoy each other’s company. While we were there, there was an orchestral concert, and a Indigo Girls concert, and we could sit on our front porch and enjoy the music from afar. We also were able to walk down to the auditorium during orchestra rehearsals. It was just lovely. There is a fantastic restaurant on site, but of course, you’ll probably want to cook meals as well. There are no TVs in the cabins, but there is WiFi. We would definitely stay here again, but it would probably be a planned family event as before, just because there is a certain remoteness you feel while here. Note: if you, like me, don’t handle high elevations well, this is even higher than the rest of Boulder. I found myself getting worn out just getting out of bed ;-). Like the Marriott, this is part of a national chain, so if you’ve stayed in a Millennium property before, you’ll likely be unsurprised by this one. It’s a convenient location to the University, and when we were there (over Thanksgiving week), there was a Colorado/Nebraska game, so it was FULL of Nebraskans. Being a Jersey girl originally, I remarked that I had never seen a Nebraskan before, so this was a good exposure. In general, it was a pleasant stay, although we were on a ground floor room, and I do recall feeling as if the furniture on our little patio hadn’t been attended to in awhile. If I recall correctly, there may have been a dirty ashtray out there. That said, this is a good mid-range place to stay, particularly if you want to be near the University sports facilities. Homewood Suites are a Hilton property, so again, a national chain with a certain level of reliability. This was our most recent stay, and regardless of the fact it’s in the middle of the pack, we may stay here again because the location is most convenient to my husband’s family, on the south side of Boulder, near Baseline (fun fact, “Baseline Road” is at the 40th parallel). Since my memories of this place are most fresh, I don’t want to come across as harsh. It’s a fine place to stay, but I had some issues. After housekeeping cleaned on our first afternoon, the air freshening smell was overwhelming. It permeated the hallway and the elevator. We had to open the windows (pro: we *could* open the windows), and let it air out throughout the afternoon and all night. That turned out to be a bonus because the HVAC is so loud that it was waking us up the previous night. Although, the noise from the HVAC was nice because it did drown out the noise from the room above. It’s not that the person above us was loud, it’s the way the place is built. We literally could hear every time the person shifted in his/her bed, and or moved at all. So, bottom line, it’s not built very well. That said, the have free breakfast and light dinner every day, and they are very nice people. Once I told them about the Febreeze problem, it got better (although, side note, on our second morning, housekeeping never showed up although we took down the privacy sign between about 9:30 am and 1:30 pm. At 3 pm, we got a note under the door that they were respecting our privacy and to let them know if we needed anything (um, thanks?). There is a nice pool, and it’s a quiet spot within walking distance of a Safeway, several little lunch places, and a Rite Aid. The lobby, where the meals are served, is open and airy with a fireplace and a TV, and I believe there’s always coffee available. Finally, this is obviously designed for long term stays, because there is a kitchen and living room in all the rooms, so it is a nicer place to hang out if you are going to be there while. Note: we didn’t actually realize we had dishes, glasses, and silverware until our last night there, because they were in the dishwasher. One would think that housekeeping would put them away before a room was ready, or perhaps leave a note on the dishwasher. Also, we had no forks, only spoons and knives. Bottom line, I think the housekeeping staff needs some more training. This is a rehabbed former national chain hotel of some sort, and the main building’s rooms are all centered around the indoor pool. I hate this setup in hotels because it means everything smells like chlorine all the time. That said, it’s a clean place with friendly staff, and if you’re not really interested in whether your room is comfortable because you plan to be out and about the whole time you’re in Boulder, this is a fine place to stay. We actually stayed in a room on the outside, and because it was January, the wind was so loud it was almost alarming. There’s a free continental breakfast every morning, including one of those nifty waffle machines, so that will keep the kids entertained. I am really impressed with this hotel’s commitment to sustainability and the outdoor living aspects of Boulder. You can rent a bike, and there is a lot of literature about hiking and the mountains available. Both of these hotels are currently closed, which is just as well, because I wouldn’t recommend either of them. The Broker had decor like an 1890’s brothel, and the Buff was really just a motel. That said, the Buff is being rebuilt across the street from it’s old location and may well be upgraded in the process. Regardless of where you stay in Boulder, you should visit at some point. It can be just gorgeous, and has a lot going for it. I wouldn’t necessarily recommend *against* any of the places we stayed except for the last two, so go, and let me know what you think. Flights to Vegas were prohibitively expensive this year, and travelling to the East Coast is so exhausting on Thanksgiving weekend, it’s a non-starter. 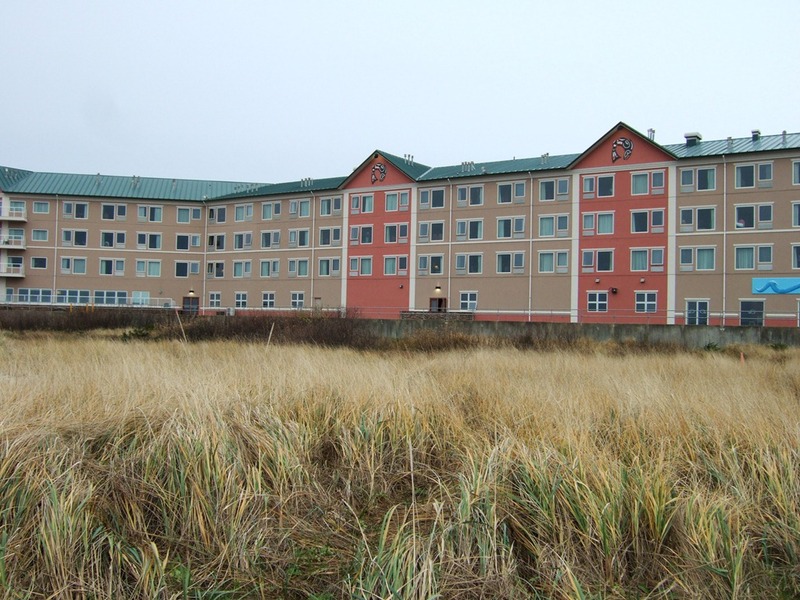 So, we decided to try something different and head to Quinalt Beach Resort and Casino (QBRC) in Ocean Shores, WA. QBRC is all about location, location, location. The views are stunning, even, or maybe especially, during a stormy November. Unlike, say, the Tulalip Resort and Casino, which has almost nothing going for it location-wise, QBRC is a destination because it’s right on the beach. You could find yourself staring out at the ocean all day, which we did because we were lucky enough to be upgraded to an Ocean view room upon our arrival. This made the entire trip worth it. If you take away the location, however, QBRC is really a mid-level hotel along the lines of a Holiday Inn or a Courtyard by Marriott. In other words, if you are a stickler for luxury, this is not the place for you. For example, the room décor: yes, we had a fireplace in-room (great! ), but the wallpaper was faux Venetian plaster, the carpet was low-end, and the bed and pillows fairly uncomfortable (uncomfortable hotel pillows happen everywhere). Also, and this, I suspect, is a big deal to some, is that although we had a non-smoking room I could smell smoke coming from other rooms. I don’t mind this for a 3-day stay, but I know other people that get bent out of shape about such things. The staff at QBRC is quite accommodating. Due to pre-Thanksgiving traffic, we were unable to reach the hotel in time for our 5 PM spa appointments, and so they quite easily adjusted to 6, which was perfect (normal travel time from Seattle is about 2.5 hours, we took 3.5). Dinner reservations were easily made, and questions were happily answered. Service at the restaurant was timely and gracious, and the bartenders were knowledgeable and funny. The spa itself is small, but as we were the only patrons it was fine. My only complaint about the spa is that they use background music that includes Bach, Beethoven, and Vivaldi. As someone who sings classical music, I always find this the opposite of relaxing, and much prefer ambient noises or non-recognizable music. Otherwise, it was a pleasant experience, and a great way to start our trip. Heads up: spa services do not include any salon services like pedicures. The food at QBRC is fine, nothing to write home about, but nothing awful. For two of the nights we were there we were able to go to their buffet dinners. The holiday dinner (on Thanksgiving) had a number of different main courses available (turkey, prime rib, salmon), and the sides were ample. On Friday, they had a “Land and Sea Buffet,” which subtracted the turkey and added Dungeness crab. Both nights had very good shrimp cocktail, which I always enjoy. The only thing I really missed from the holiday buffet was live music. As the buffet was served in the banquet room, a la an “occasion,” it seemed to be missing. When not buffet-ing, you can choose to dine in Emily’s Restaurant, which is a table service room with great views of the ocean, or you can grab something quick in the Ocean Lounge. You can also order room service (which we did for breakfast one morning). There is also a small deli on the casino floor which we didn’t get a chance to visit. The gambling at QBRC is standard. You’ll find the most familiar table games (blackjack, craps, pai gow, Mexican 21), and a good selection of slots, including a few progressive machines. There’s also a poker room which was bustling. I even hit a Jackpot on a quarter game (yay!). Lots of coupons for people over 50. Join the Q-Club for details. Lots of special chances/games to win just by playing and/or entering drawings (again see club for details). Build points through the Q-Club and you can make enough money to take some off of your stay. Enjoy QBRC’s own boardwalk out to the beach! 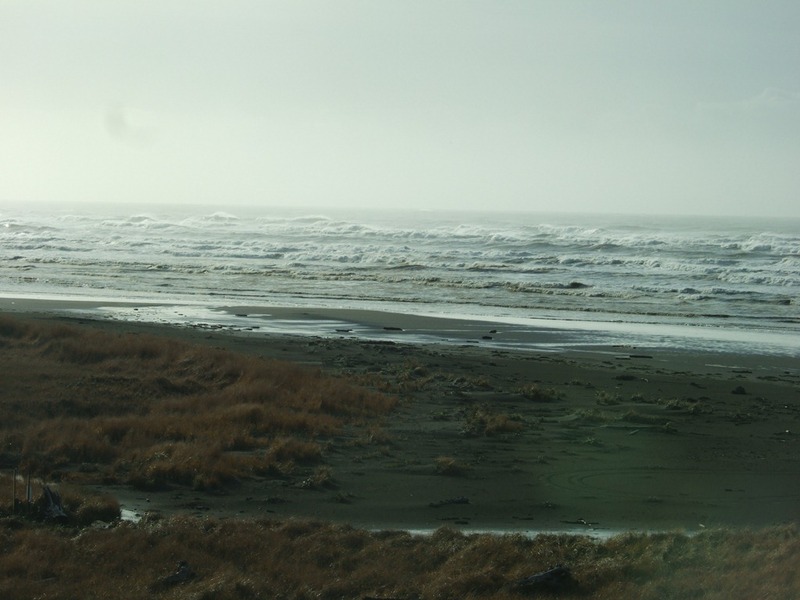 Take a drive through downtown Ocean Shores – quite a few small shops with interesting wares. Live music in the Ocean Lounge on Fridays and Saturdays. We had a small refrigerator and coffee machine in our room. There is an indoor pool, hot tub (both of which have great ocean views), and workout room. Toiletries include makeup removal wipes. There is only ONE elevator near the lobby (I think there are others at the ends of the hallways). This means that if you are on an upper floor, you might have quite the wait to go up and down. Smoke pervades most spaces in the hotel. The primary clientele during the week are locals who appear to be hard-working blue collar folks. In other words if you want to play dress-up, you’ll feel overdone. Good news: it’s a comfortable place, not hoity-toity. The craps dealers may or may not be learning while on the job, and so you may find yourself waiting for pay-outs. A single friend of ours thought about joining us. He’s glad he didn’t. I didn’t see anything resembling a singles scene here. Guests tended to be families or older couples. Our TV was a small, older, tube-type. There are no robes in the guest rooms. Hotel room soaps and lotions are made by a company in NY. With so many great Washington based natural soap companies, this was surprising. Bottom line: for us, this was a fun trip and we will do it again. Thanks QBRC for your hospitality. I’ve spent a lot of years managing projects or parts of projects, but up until recently, I’d had very little exposure to formalized processes about same. For example, not only did the teams I was on not use Microsoft Project, I had one manager expressly forbid its use. However, the client for the last project I worked on ended up demanding a Project (capital P) file as a deliverable of the project. Well, he *sort of* did that, what he really kept asking for was a “capacity plan,” but what he meant, it turns out, was a Project file (future blog post about trying to interpret what people want regardless of what they ask for needed). The project deliverables were fully edited documents ready for publish. We had 2 editors and 1 visual communications (read: PowerPoint polisher) person. The client was paying for a fixed capacity per month. In our case, the client was paying for the full time use of the 3 resources (as well as for my time, and a managing editor’s time which I’ll leave out here, again for brevity). The client, therefore, wanted to make sure that our team was fully utilized, and producing as many completed documents as possible within each fiscal quarter. People on the client’s team would send us an initial request indicating what documents they wanted edited, along with some specifics about document size, graphics requirements, and specific editorial services. The client’s team would also provide ideal start and end dates (when docs would be handed off to us, and when they wanted them completed). Our team would estimate how much work was needed (down to the hour). I would throw this into the schedule and figure out if we had the capacity to complete the work in the desired timeframe. If so, we’d add it to the plan. If not, we’d tell them how much extra it would be to bring on extra resources, or we’d give them the date we could get it done. As I mentioned, I had very little experience with using Project up to this point. I had used it to itemize tasks and generate a Gantt chart, but that was about it. My initial swag at trying to plan out all of this work was a bit disastrous. I really could’ve done it with a spreadsheet and a calendar, but as I said, the client demanded the Project file. I made assumptions about Project and how smart it is, and I was wrong. After a lot of trial and error, and a 3 hour session with a Project expert, I was able to come up with a working model. The goal of this blog post is to document what I learned so I don’t forget it. Project doesn’t have any sense of task priority. You cannot tell it “I’d like to schedule this person to work on both of these things, but please make sure that s/he prioritizes this task before this one.” You can set dependencies, but that is a false relationship (one task does not require another). You can also mark a priority on a task, but Project does not use this in any calculations. Project’s really not designed to plan work down to the hour. You can do it, but basic project management methodology recommends only going down to the day. When you’re not planning on budget, but rather on capacity, this can cause problems. OK, so what did I end up doing? What should you do it you’re in the same sort of situation? Roll-up tasks as much as makes sense without losing accurate scheduling ability. For example, our editors might do an initial review, then consult with the client, then do another pass, then send it back, etc. All of that is very difficult to track, and you end up spending more time tracking and estimating then getting work done. For simplicity’s sake, you could roll that up into “Editorial Review.” Then, the final pass on the document might be “Document Finalizing,” or something like that. Develop a solid mechanism for tracking time. In our case, we adapted our payroll time entering system to match the categories for our work. We still needed to tweak this a bit by the time the project ended, but it was definitely the way to go. In other words, the way people get paid should match the hours that you’re billing the client for (other wise you could over or under bill). Do some initial calculations before you start applying the actual capacity of your team. For instance, if you’ve estimated that Document Set 1 will take 40 hours of work (which is one person full time for one week), but the client wants the work done in two days (16 hours), you know without even looking at your team’s schedule that you’ll need 2.5 people to complete the work (or, rather, 2 people working two days, and one person working 1 day). As the project manager, don’t concern yourself with which work will get done on which day. This will make you and your team crazy. Rather, and this is key, be concerned with accurate overall estimates, and firm start and end dates as dictated by the clients. Then, all you’re planning is the hours per day your team has blocked out, and whether they spend. 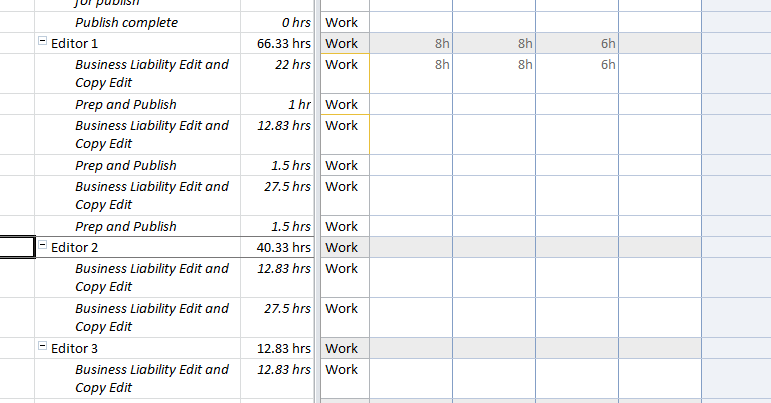 Start working in Task Sheet view (this eliminates the space taken by the Gantt chart, and gives you more room for columns). You are scheduling work, not scheduling duration. 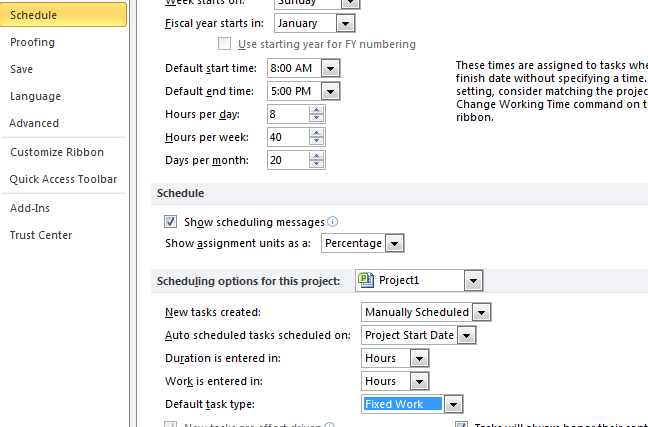 To that end, you should also change the default task type to “Fixed Work” in the Schedule options. Add each task, and based on your initial calculations, enter the hours of work, the names of the resources you believe you’ll need, a fixed start date, and the duration that it would take to get the work done. I know this seems backwards, but remember, you know how many days it should take to get done with x number of people working x hours per day, and what day you can start. Project should then give you the end date. You can also manually enter the start and end dates, and have Project determine the duration. You risk Project adjusting the start date when you do that, though. Now, flip to the “Resource Usage” view, and you’ll see if you’ve over-scheduled someone. But this view is the key to making sure you’ve got full capacity scheduled. If you’re over, you can assign another resource, or, you can play with your start date on the item. You can of course try the famous Project “resource leveling” feature, but then you’ve given up all control. Play a bit with Project’s automatic and manual scheduling. Be cognizant of which you’re using. Switch something back to manual when Project becomes possessed and does something strange. I know that some of this is specific to the work our team did, but the key for me here was learning that instead of worrying about the specific work product that my team was working on in any particular day (and the priority of each), I just needed to make sure that within a timeframe they had 8 hours of work per day each. As soon as I had 8 hours of work for a given person on a given day, they were fully booked, and the earliest I could schedule any work for them was a day on which they had less than 8 hours available. It sounds simple, but when we had over 30 projects requested, and only 3 people to do the work, I went down a path of trying to prioritize and figure out who was going to work on what on which day. I hope this is of some value to someone besides me, but really, I just wanted to document my experience so I can remember the thought that went into it, and some of the practical tool usage. Finally, big anonymous thanks to the person who sat down and thought through some of this with me. As a PMP she was a bit horrified at the approach we were taking, but she was able to help us out with the specific needs of this client and project. If I had to do it all over again, I would attempt to set different client expectations rather than go through all of the same gyrations, but I’ve learned a lot from the experience. A general request from my friend (also named Kathy) for breakfast muffins that contain zucchini prompted me to offer Grandma’s Zucchini Round recipe. During my childhood, I spent at least one week a summer with Pop-Pop and her, and as such was exposed to various vagaries of her kitchen. Because zucchini is abundant in New Jersey in the summertime, she often made these, and I found them tasty then as I do now. As with her recipe for cole slaw, I will include it below exactly as she wrote it, then follow up with my own notes. Mix together biscuit mix & cheese. Stir in beaten egg. Fold in Zucchini. Melt oleo in skillet. Using 2 tbsp. mixture for each round, cook about 2 or 3 min. on each side or until brown. Makes 6 rounds. By “biscuit mix,” Grandma means Bisquick. Now, if you’re a real baker, you can figure out how to approximate this without resorting to the mix. Me? I use the shortcut. By “unpared” she means “not peeled.” I find that this term is not used broadly anymore in recipes. As to how you actually cut up the zucchini – I have tried different preparations, but the easiest is to use a veggie peeler to just peel pieces, or to use a mandolin. By “oleo” she means “margarine.” Margarine has never entered my adult household. I don’t believe in it. You can prep the pan with either butter or oil or a combo thereof. Finally, I find this mix to be dry (and, of course, lumpy) and I often have trouble making as much out of it as she indicates. I don’t know if she used huge eggs or what. Sometimes I have added a bit of water or milk to loosen things up a bit, however, the zucchini does add water, so be judicious. You can also play with the amount of zucchini if you want less zucchini laden cakes. Serve with butter (mmm). Because these are savory, you can do them for breakfast or lunch, or as a dinner side dish. The ability to identify what (famous) voices are used to narrate commercials. More on #1 in some other entry. Re: #2, please note that I’m not claiming to know the name of every voice-over actor. There are lots of them out there, and I don’t know those voices by name. No, I mean when a well-known actor, narrates something, usually a commercial, I can identify them from the sound of their voice. This is a useless talent, but like most normal human superpowers, it makes for good cocktail conversation. For example, do you know that Kevin Spacey is the voice on Honda ads? Or how about those Michigan tourism ads? That’s Tim Allen. Usually, this power kicks in on the first or second hearing of a given commercial. But recently, there was a campaign that stumped me for quite awhile. Then, one day, on the umpteenth hearing, it struck me. Take a watch – recognize the voice? It’s Peter Krause! Now that I’ve figured it out, I hear these ads all the time, and I mean ALL THE TIME. However, I got an email from Free the Internet this morning that indicates that this merger may not come to pass. I have to say I’m kinda glad that T-Mobile and AT&T might not merge, although I’m sorry that Pete will lose the incredible $ he must be making from this campaign. Practice Exercises – Nothing to see here. I recently published some practice blog posts because I’m prepping to take the Word “Office Specialist” Exam, and that’s what the exercises have you do. Perhaps a blog entry about why I’m prepping to take the exam and what’s going on might be worthwhile, but I must run. Sorry for any false alarms or excitement caused by posting about the Walla Walla symphony or whatever that was. 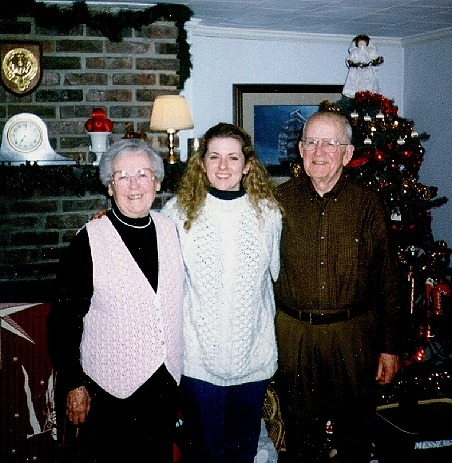 In the post-parental-divorce aftermath, my father (with whom I lived) felt it important that my maternal grandparents remain a presence in my life, and as such, they were frequent guests in our home. I may well have seen Grandma and Pop-Pop in the company of my father as much as in the company of my mother (although I didn’t live with mom, I spent at least one day a week with her). In any case, it must not have been easy to host your former in-laws in your home, so making conversation, I’m sure, was quite an art. Grandma and Pop-Pop probably felt equally unsure, so there was a lot of talk of weather, traffic, and of course, food. Never one to go to someone else’s house empty-handed (something ingrained in me and foreign to my husband, but that’s another subject), Grandma would usually bring a side dish or a dessert with her when they came for dinner. GRATE (OR CHOP) CABBAGE, CARROT AND ONION. TOSS WITH OTHER INGRE (TO DESIRED CONSISTENCY). That’s it. No measurements, no portions, no real advice. So, I have, over time, learned some things about preparation through trial and error. First, I use the food processor to prepare the cabbage, carrot, and onion. I use slicing discs for the cabbage and carrot, and then just chop the onion using the blade. you may also use a grater to grate the onion – the point is you don’t want to get a bite-sized piece of onion. I have also used green shallots instead of onion just for grins because my local produce market has them. I use apple cider vinegar instead of plain ole white distilled to take some edge off. Also, I mix all the dressing ingredients separately to taste before adding to the veggies. As to proportion, depending on how much cabbage we’re talking about, I’d say between 1/4 and 1/2 cup of mayo, and then between 1.5 tsp and 1 tbs of vinegar (again, to taste). Oh, and I shouldn’t have to say this, but unless you make your own mayo, the only mayonnaise to use is Best Foods/Hellmann’s; don’t even think about that Miracle Whip crap. Grandma herself will come back to haunt you. Finish off with the celery seed and celery salt in the dressing before you mix w/cabbage. Because you are using celery salt, there is no need for regular salt, and it’s these two ingredients that make the difference, in my opinion. Also, you’ll note there’s no sugar! I cannot tell you how disappointed I am when I eat coleslaw that’s been sweetened. YUCK!